Love this Independence of professional trader,being owner of your own time and spending quality time with family and friends. 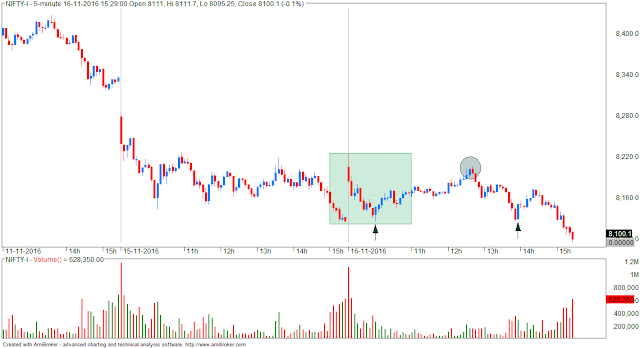 The best part is I still earned about 14K from positional short trade in OTM nifty calls. 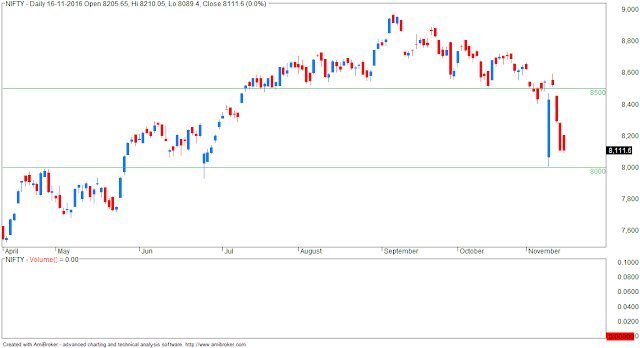 look at last bottoms ...15/11 - 8093, 16/11 - 8089 and today's low so far 8092.....some reversal or pull back ....short covering or rolling short positions to next series? I am expecting 8000 to hold this series.